Tetra Tech was contracted by the County of Pima, Arizona to provide airborne LiDAR and photogrammetric data for a 31 square mile area along the Santa Cruz River. The data was collected for the Pima County Regional Flood Control District. The LiDAR and imagery acquisition took place in June 2015. The LiDAR data was collected using an Optech Gemini system and the imagery was acquired with an UltraCam Falcon Prime airborne imaging system. During both flights, the airborne trajectory was monitored with kinematic AGPS combined with IMU observations collected at 200 Hz. In order to assess the absolute accuracy of the LiDAR data, a set of 25 Ground Control Points (GCP) on hard surfaces was surveyed. These points were well distributed over the project area. The vertical accuracy (95%) of the LiDAR was determined to be 6.7cm and the point density was 4.5 points per square meter. 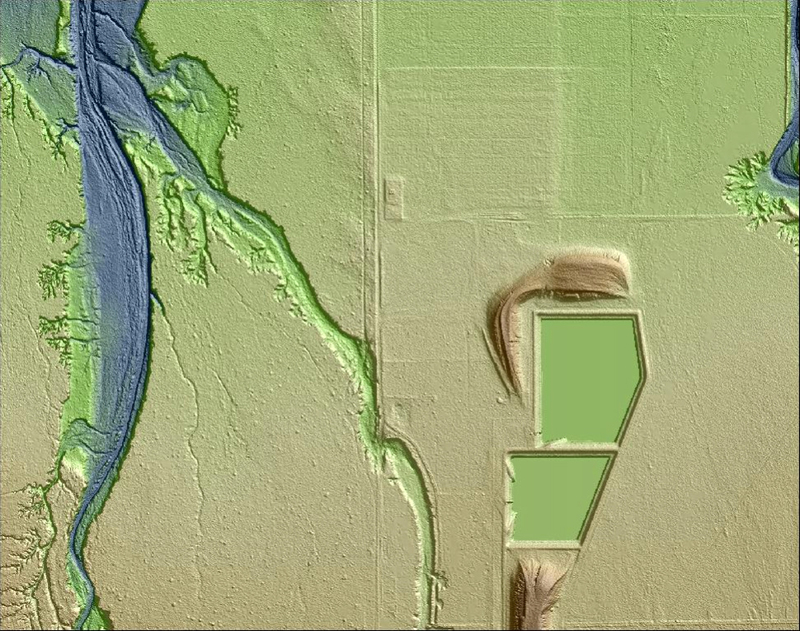 The final products delivered to the client included 3 band (true color RGB) orthoimagery with 0.5’ resolution, a hydroenforced digital elevation model with 3’ grid spacing, and 2’ contours. The hydroenforced breaklines were delivered and the LiDAR point clouds were delivered in las format as classified points, unclassified points and as model keypoints. Finally, planimetric mapping was delivered that contained building outlines, fences, utility poles, road edges and ponds.